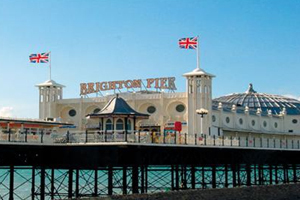 Visit Brighton is set to launch a viral campaign to promote Brighton and Hove as a business tourism destination. The See Brighton Through Business Eyes campaign will target delegates directly through social media forums and marketing platforms. Delegates who visit the city will be given disposable cameras and invited to record their experiences through photography, which will be uploaded on to a dedicated micro-site. Visit Brighton convention bureau sales manager Darren Johnson said: "Most people have an affinity with Brighton and Hove as a leisure destination. The campaign serves to shift people's perception of Brighton and Hove to realising that what makes the city such an exceptional leisure destination is also what makes it such an exceptional business tourism destination." The campaign will launch at International Confex 2010 in February.